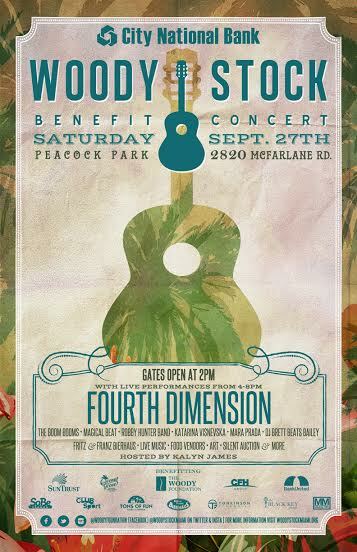 The Woodystock benefit concert returns on Saturday, September 27th at Peacock Park in Coconut Grove for their 2nd annual event. Hitting the stage will be DJ Brett Beats Bailey; cutting-edge Chicago based violinist, Katarina Visnevska; Colombian reggae/latin group, Magical Beat featuring Mara Prada; adored Miami locals, Robby Hunter Band; Vancouver based indie soul band, The Booms Booms; and “South Florida reggae legends”, Fourth Dimension, will headline the show. Proceeds from this concert will benefit the Woody Foundation. $20 donations are encouraged. For more information visit www.woodyfoundation.org.